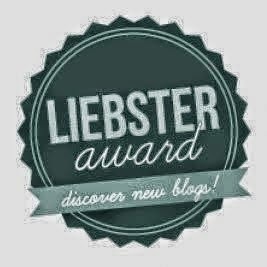 Running with SD Mom: The Liebster Award! I am beyond honored to be nominated for this Award by two amazing bloggers: Mats.Miles.Medals. and Michelle over at One More Mile. Thank you so much!!!! 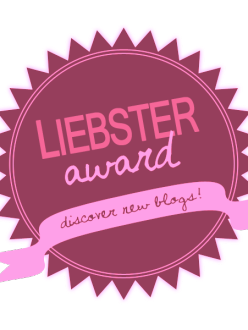 The Liebster Award is an online award by bloggers for bloggers to help bring attention to new and upcoming bloggers, typically those with 200 followers or less. 5. You must go to their blogs and notify the nominees. 1. What is your favorite way to exercise? Running. Why? It is quick and clears my mind in a jiff! 2. How do you find time to exercise? I don't find time. There is no time, so I make time. 3. What is a typical day like for you? On the weekdays, it is rush rush rush. It is a challenge to get everyone to work and school on time, including myself. 4. What do you hope to accomplish with your blog? I want people, especially women and mothers, to know that being healthy and living an active lifestyle is a gift to yourself! My amazing community of mother runners! They are always motivating and lifting each other up! Runners are SO nice! 6. Morning or night person? Morning. My energy dwindles as the day goes on. 7. What are some of your fitness goals you have for 2014? I would love to finish a Half Marathon in 2:15 or less. But for that to happen, my hip has to heal! 8. What is your favorite blog post you have written? 9. If you could change one thing from 2013, what would it be? That I waited until March 26 to start running! 10. What is one of your greatest life or fitness accomplishments? I went from not being able to run 30 seconds to be being able to run 13.1 miles without stopping! 1. How did you get started running? I downloaded the Runmeter App 5K training program and the rest is history! 2. What are your must-have distance running accessories? 3. Compression socks… yes or no? See answer 2! Yes, a million times YES! 4. How does your normal clothes budget compare with your workout clothes budget? Since I am some what new to the whole running thing, I have gone a little running clothes c-crazy! 5. How far out do you create your race plans? Well, I have a race scheduled in December and that is as far out as I ahve actually registered for. I know what races I am doing next year though. 6. When you run… music or no music? If music, what genre is your playlist? Must. Have. Music! Most dance and hip hop songs work for me! Buy every running skirt ever made and get a running coach to get me to a BQ! I want to be cute and FAST! 9. For day-to-day fun, what do you do outside of work and fitness? Play with my kids, read, cook, DRINK beer and date nights with husband! 10. What’s something we wouldn’t know about you from reading your blog? I was a long and triple jumper in high school. I know, right?! My Nominees are from Team Stellar - Have fun and thanks for being AWESOME! 1. What is your favorite distance to run? 2. What is your absolute favorite running song right now? 3. Besides running, what is your favorite sport / fitness activity? 4. What is your favorite piece of clothing (running)? 5. What kind of shoes do you race in? 6. What is your favorite race to date? 7. What is your dream race? 8. Who is your fitness inspiration? 9. Do you run solo or with BRFs? 10. Why did you start a blog? Thank you all for being great!